Facilitate students to grow under the Central Board of Secondary Education, New Delhi, with the NCERT Curriculum. Develop dynamic, creative personalities with leadership qualities and keen aptitudes for applying practical knowledge and assessing the world around them. Enable the students to realize and face Scholastic and Social responsibilities to fulfill their duties as citizens of India and to face future challenges with ease. 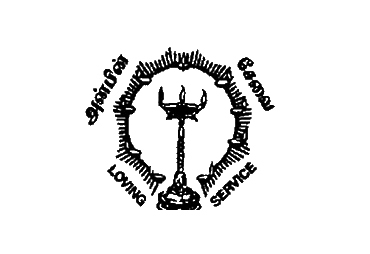 The crest of the school consists of a kuthuvilakku with the flames standing within a circle along with its vertical diameter surrounded by nine little earthen lamps on the circumference. The three symbols – the kuthuvilakku, the three flames and the nine lamps speak the glory of learning in women.. 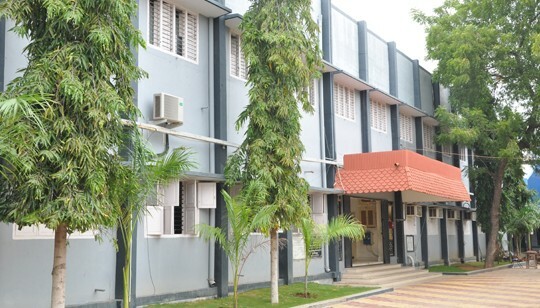 The kuthuvilakku in the centre being the scholar. The three flames being the body, mind and soul of scholar. like kuthuvilakku. With the all round training imparted, the lamp steady scholar is ready to face the nine emotions that surround her. She is also prepared to light other lamps so that the flame of knowledge may burn everlastingly. The motto inscribed at the base of the circle is “அன்பின் சேவை” and “Loving Service” on the top of the circle.